Eclipse 3 Beta is now released for iOS 9. 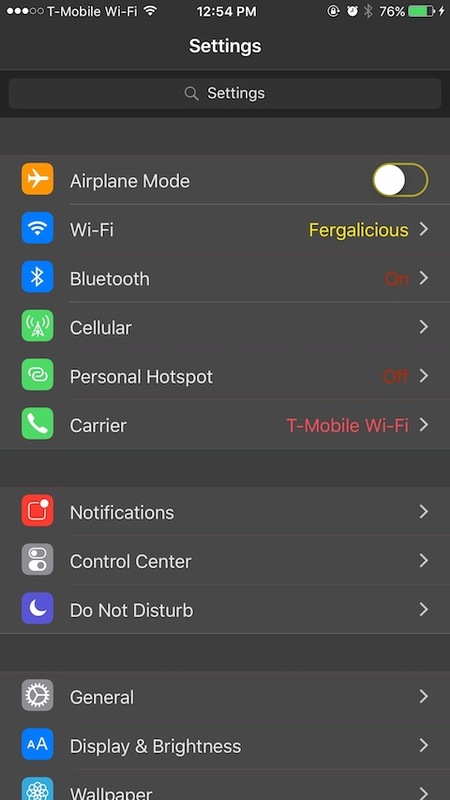 For those who have upgraded their iPhones to iOS 9 and were waiting for the night mode, your wit is over. The developer has come with the beta version of Eclipse that is fully compatible with iOS 9 and works very well with jailbroken iOS 9 iPhones and iPads. For those who haven't heard of Eclipse, Eclipse is an awesome Cydia app that switches your iPhone to night mode. Eclipse allows you to get rid of bright and white interface that apps have by default in your iOS. Use eclipse and night mode to your iOS. It will turn your iOS to darker color scheme and makes the reading easier in night or dim lights. It reduces strain to your eyes and is more attractive at times, Here I have shared some unique features of Eclipse 3 Cydia app for iOS 9 and how to download it on your iPhone/iPad. Do try it and enhance your iPhone user experience. Also see - Download Youtube videos on iOS 9 using Cercube 3 Cydia app. Reduced Battery Consumption - New Eclipse 3 beta has been upgraded to consume less and less power. That means you can now use this app comfortably for longer duration without any battery consumption. User Customization - Eclipse 3 gives you a wide variety of colors to choose from. Choose your colors from a huge list an customize your theme accordingly. 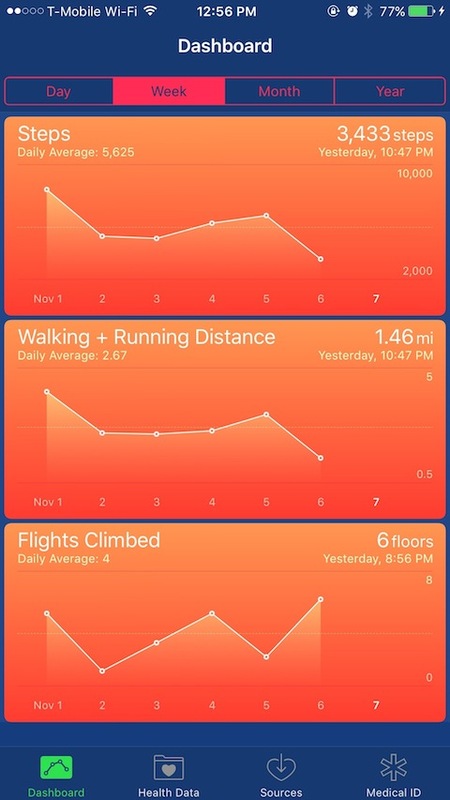 Coloring of Apps - The theme you choose is applied to whole of your iOS 9. All the colors are spread across your iPhone and app background colors are also changed to suit the theme. Hence once you switch on the Eclipse 3 theme whole of your iPhone will enter the night mode. Changed Default Settings - Compared to the old Eclipse app, Eclipse 3 has now all the setting options disabled by default. 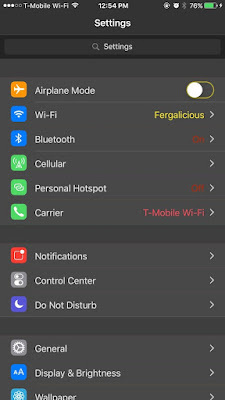 You can enable the features you want by using the settings option. In previous versions all the options were enabled by default and hence the user had to disable all the extra options which are not required. This new default setting avoids allot of heck. Step 1 - Tap the Cydia icon on homescreen to open Cydia. Step 2 - Go to "Manage" -> "Sources" -> "Add". A "Enter Cydia/APT URL" message box will appear. In this box enter this repo - "http://gmoran.me/repo". Tap the "Add Source" button and add the repo. Step 3 - Now move to Cydia again and in the search box, search for Eclipse 3. Step 4 - Tap on the Eclipse 3 icon in search results and install it. Eclipse3 Cydia app for iOS 9 is now successfully installed on your iPhone. Use this app and make your iPhone more usable at nights and in dark areas. Also checkout the popular Cydia lockscreen tweaks to customize your iPhone.